Buying the right bedroom furniture is no easy task. So if you’re not inspired by other bedroom furniture showrooms, then why not take a trip to our bedroom furniture warehouse Warehouse in Prestwich. Our extensive bedroom furniture showroom offers a pleasurable and stress-free experience. We’re sure you will find all you need in terms of bedroom furniture, beds and bedroom accessories. 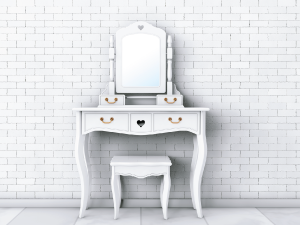 As a key bedroom furniture retailer Manchester, we are confident that you’ll find a range of pieces to suit your personality and style perfectly. From modern to traditional bedrooms you can choose from a massive range of wardrobes, sliding wardrobes, dressing tables, bedding chests, bedside cabitnets, book cases, beds, mattresses and headboards. You can view an extensive collection of bedroom ranges, and we're confident you'll find a bedroom style to suit your personality. 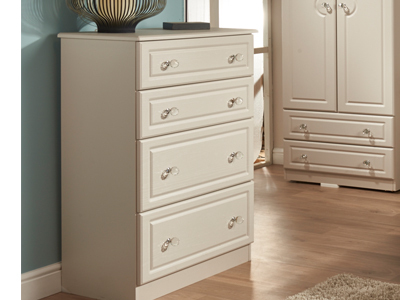 Our bedroom ranges include everything you'll need to make the perfect bedroom for you. 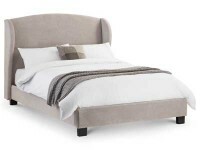 Looking to Buy bedroom Furniture in Manchester? Our furniture retailer showroom, is situated in Prestwich, however we deliver to all Manchester districts. We are your one stop shop to buy Bedroom Furniture Manchester! Warehouse Prestwich is a family run business with a stunning selection of bedroom furniture and furniture collections in the North West. You can choose from both modern and classical designs and take your pick from bedroom furniture including wardrobes, chest of drawers, beds and more. Our bedroom furniture collections come in a range of superb brands, including Silentnight, Seconique and Rest Assured. We know how important choosing the right furniture for your bedroom is so why not visit us first? Let our friendly staff take you around the warehouse and help you decide which bedroom furniture is right for you. If you looking for something for children’s bedroom ideas, then we provide a selection of children's beds and bunk beds to help you little ones get a good night's sleep. Why not visit us at The Warehouse Prestwich and let us help you make your bedroom décor visions a reality. We are based in Prestwich but are only 4 miles from Manchester City centre. We have been supplying furniture to Manchester for a number of years now and we deliver to all Greater Manchester districts including Stockport and Cheshire. For more information on bedroom furniture please feel free to contact us on 0161 7738625 or email us: info@thewarehouseprestwich.com. Alternatively you can come and have a long look around our extensive show room, find out more here.